BBC Four - Tomorrow's World Live: For One Night Only, Maggie Philbin and Peter Snow test-drive a car that can drive itself — almost! 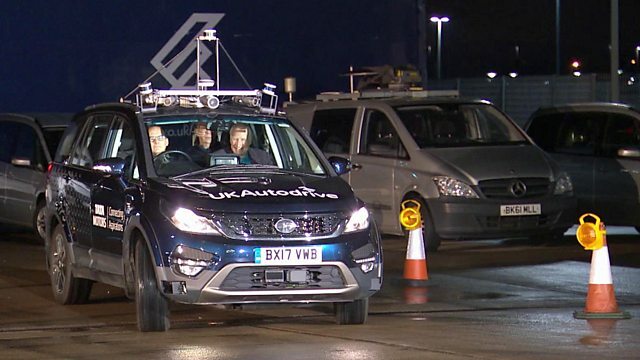 Maggie Philbin and Peter Snow test-drive a car that can drive itself — almost! The Chancellor of the Exchequer has predicted that, by 2021, we’ll have driverless cars on the UK’s roads. Howard Stableford meets inventor Grant Sinclair and Iris, his battery-powered electric trike.